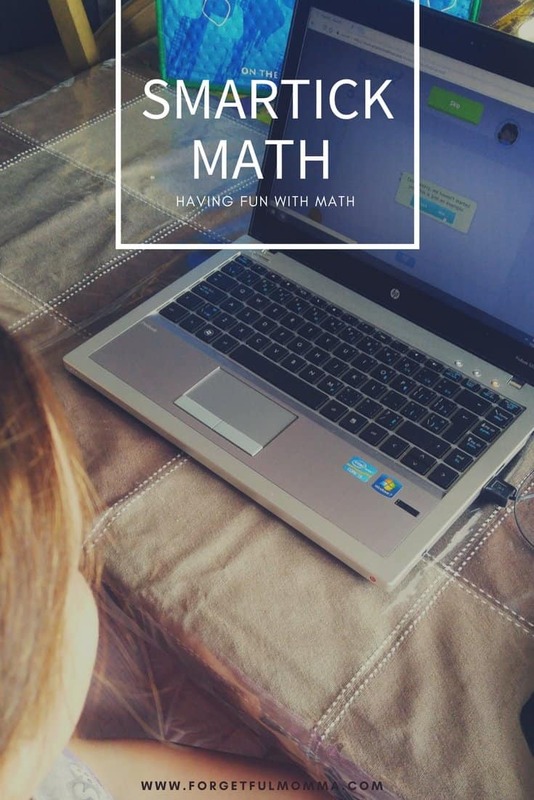 Last year we found a pretty darn good gmath curriculum but it had one problem, it required I teach my kids the math concepts. Yes all the information was there, but here was the real problem. Me. I’m just not great at math. My mother laughs at the thought of my teaching fractions I’m sure. I know my weaknesses so this coming school year I got my eye on something different. Teaching Textbooks. They do the teaching. I don’t have to struggle or study up before math class each day. 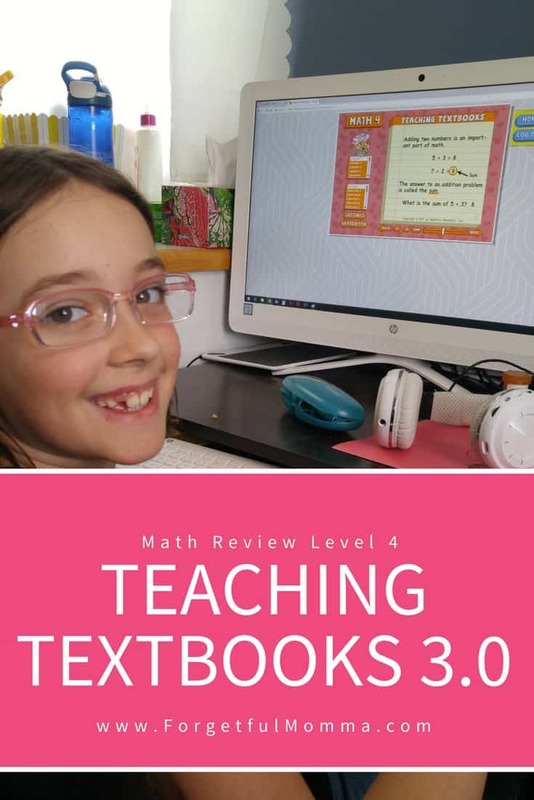 It took me a matter of minutes to set up our Teaching Textbooks account and get my daughter online with her Math level 4. She went from no mom I don’t want to do math to loving the program within minutes. That is a huge win for me. This is going to be a game changer this coming school year, no more will I struggle to explain how to do a math problem that I know how to do but just don’t know how to explain. Thank you to Teaching Textbooks for their lecture feature at the beginning of each lesson, plus the hints that you can turn on in case your child needs just a little more help. 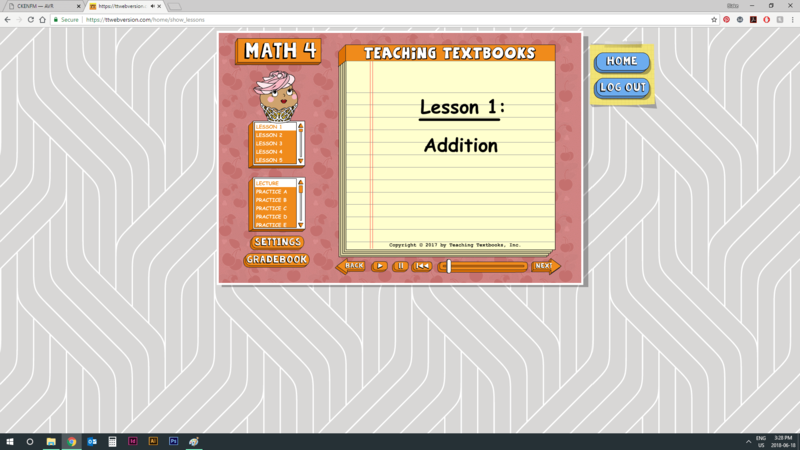 This is our first year using Teaching Textbooks, they have recently released their newest version, 3.0. It is completely online now with 12 months subscriptions. For us this means that we aren’t going to be limited to doing school work at home and on a specific computer but we can grab a tablet and head to the library for a change of scenery. No losing discs, computer downtime, nor having to worry about what computer we have been using for the discs and not having access to it, or someone else using that computer. 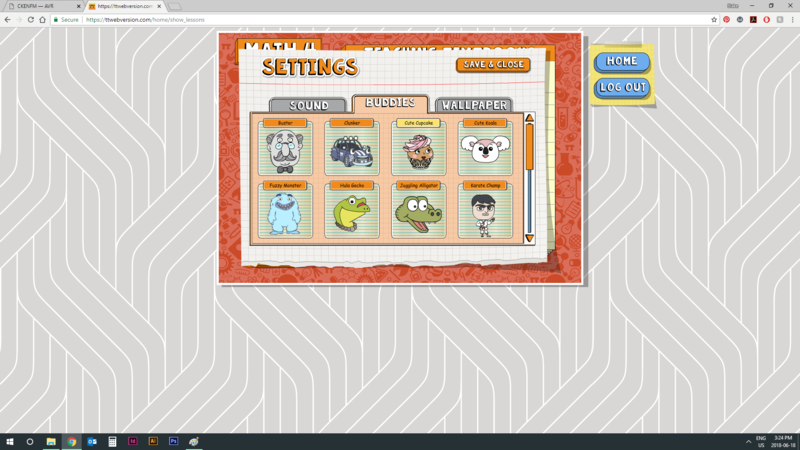 My daughter had fun setting up her account: deciding on her buddy, choosing a background, and there was something else that she was excited to change but I’m not overly sure what it was that she did, I just know she was enjoying it. My goal on day one was to get everything set up and have her complete a level. Somehow she completed two lessons and then I took the computer mouse away from her. In the short time that we have had Teaching Textbooks, she has used it every day, on her own, because she wants to. She wants to do math and that is the best news for this homeschooling Momma. If she were to keep up at this rate, we would end up having to move on to the next level and new subscription before the school year is out. The 12 month subscription doesn’t mean that we get to fly through as many levels as we can in that time it just means that we have 12 months to get through the level we sign up for. It is easy to log on so kids can get started and move through each level on their own giving parents a chance to work with siblings one on one or catch up on other things. Just one more bonus for homeschooling moms. We still love using Teaching Textbooks, we’ll be continuing to use it in the coming years, I cannot wait till Brookland (currently grade 2) can use it next year. We had been using TT on a Windows computer but the kids all got Android tablets for Christmas. This gave us a few days of troubles trying to figure out how to use it. Honestly, it wouldn’t have been any trouble at all had I gone to the FAQ on TT in the first place. We simply had to download the Puffin app as it has a built in Flash player and use the tablet in portrait so that they keyboard is always there. My kids are really wanting an online program and math is definitely an area we struggle with. 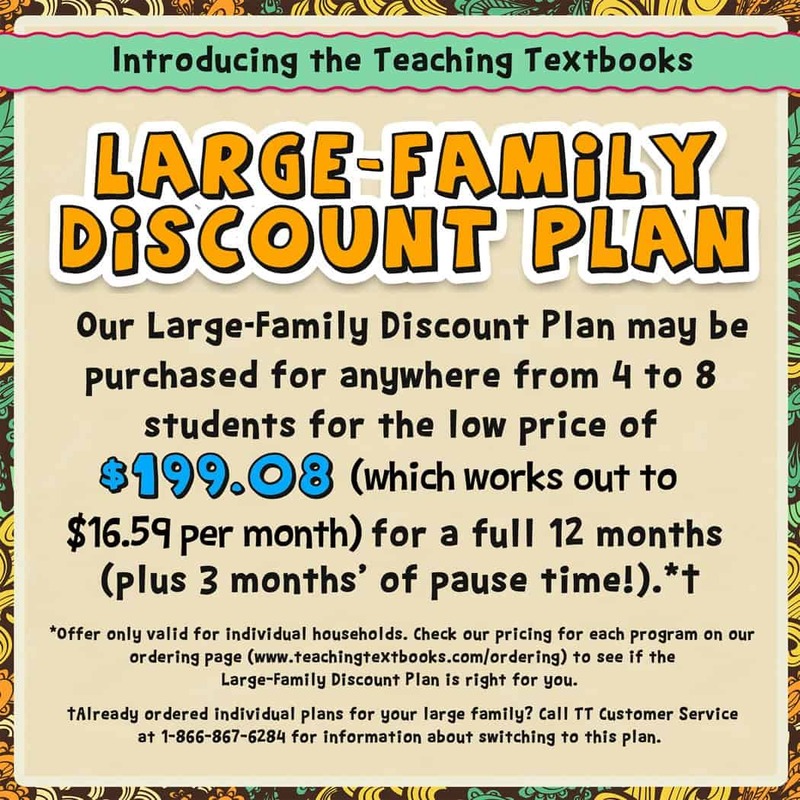 This online program would definitely make homeschool life easier! I would love the fact that I am not totally responsible for teaching math! And if TT makes my son love math, that would be awesome!! Thanks for the chance to win!! I would love the fact that I am not totally responsible for teaching math! And if TT makes my son love math, that would be awesome! Thanks for the chance to win!